California attorneys hired by title companies to pursue title actions have both the title company and the insured as clients, and the attorney – client privilege protects all three. 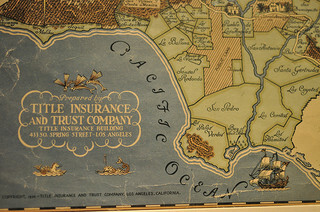 California Title Insurance policies are, in fact, insurance. 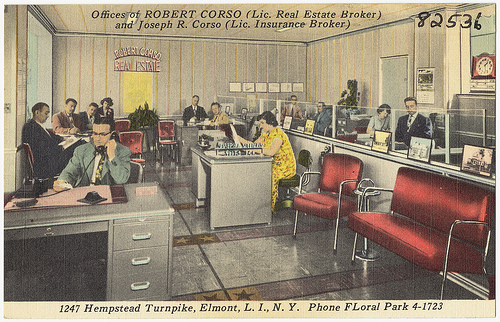 The title insurance company offers the property owner insurance that the real estate title is as the insurer represents it to be, subject to some listed exceptions. If the property owner is sued on grounds related to title, the title insurance company is required to defend the owner’s title by defending the lawsuit. It does this through its own attorneys, or by hiring outside counsel to represent the owner in the lawsuit. Anyone involved in a title dispute may want to consult with a Sacramento real estate attorney to determine whether or not they should be defended by their title insurer. It is settled in California that an attorney retained by an insurance company to defend its insured (the owner) under the insurer’s contractual obligation (in the policy) to do so represents, and owes a fiduciary duty to, both the insured and the insurer. Called a tripartite attorney-client privilege, this applies as long as there is no conflict of interest. A recent decision applied the tripartite relationship to the case where the title insurer hired attorneys to prosecute, rather than defend an action -yield a sword rather that a shield. In Bank of America, N.A. v. Superior Court of Orange County (Pacific City Bank), Cho refinanced her home loan with Bank of America, executing a $608,000 promissory note and related deed of trust. Bank of America obtained title insurance from Fidelity Title Insurance Company, insuring that their loan was in first place. However, five days before the Bank of America deed of trust recorded, and unbeknownst to the bank, Cho also obtained a business line of credit from PCB, secured by business assets PLUS her residence. The PCB Deed of Trust slipped in before Bank of America’s, and B of A’s title company did not catch it. B of A’s loan was in second place. Of course, Cho defaulted on the business loan, and PCB pursued foreclosure. Bank of America tendered a claim to Fidelity under the title insurance policy, and Fidelity hired attorneys who, two days before the trustee sale, filed suit to subrogate B of A to the deed of trust it had paid off, putting B of A’s deed of trust in first place. During the lawsuit, PCB sought discovery of communications between Fidelity and the attorney involved in the lawsuit. Bank of America moved to quash the subpoena, claiming attorney -client privilege. PCB made two arguments: 1st, that the attorney client privilege existed only between the attorneys and Fidelity, who had hired them; and 2nd, that Fidelity accepted the tendered claim under a reservation of rights, which created a conflict of interests. 1) As to the attorney client privilege, PCB pointed out that court decisions have only found the tripartite relationship when the insurance company hires the attorney to defend an action on behalf of the insured. Here, they were plaintiffs in the action. The court disagreed. It noted that in such a situation, the attorney has two clients whose primary, overlapping and common interest is the speedy and successful resolution of the claim and litigation. The three parties may be viewed as a loose partnership, coalition or alliance directed toward a common goal, sharing a common purpose which lasts during the pendency of the claim or litigation. This is what it takes to establish the tripartite relationship; it does not matter whether the attorney defends, or prosecutes the action. 2) Regarding the reservation of rights, PCB claimed that the tripartite relationship only exists when the insurer hires the attorney, WITHOUT a reservation of rights, to defend the insured. The court disagreed. A reservation of rights in itself does not create a disqualifying conflict requiring the appointment of independent Cumis counsel, if the issue on which coverage turns is independent of the issues in the underlying case. If the coverage issue is a) independent of, or b) extrinsic to, the issues in the underlying action, c) or the damages are only partly covered by the policy. Fidelity’s reservation of rights was because B of A tendered the claim only two days before the foreclosure sale. Whether the late claim satisfied the policy requirements is not related to any of the issue in the underlying lawsuit. This decision clearly explains these two issues and reaches a good conclusion. PCB was overreaching in its discovery requests, and was lucky the trial court ruled in its favor. But it was up against a bank and an insurance company with deep pockets, who had no hesitation to file for a writ of mandate with the court of appeals.